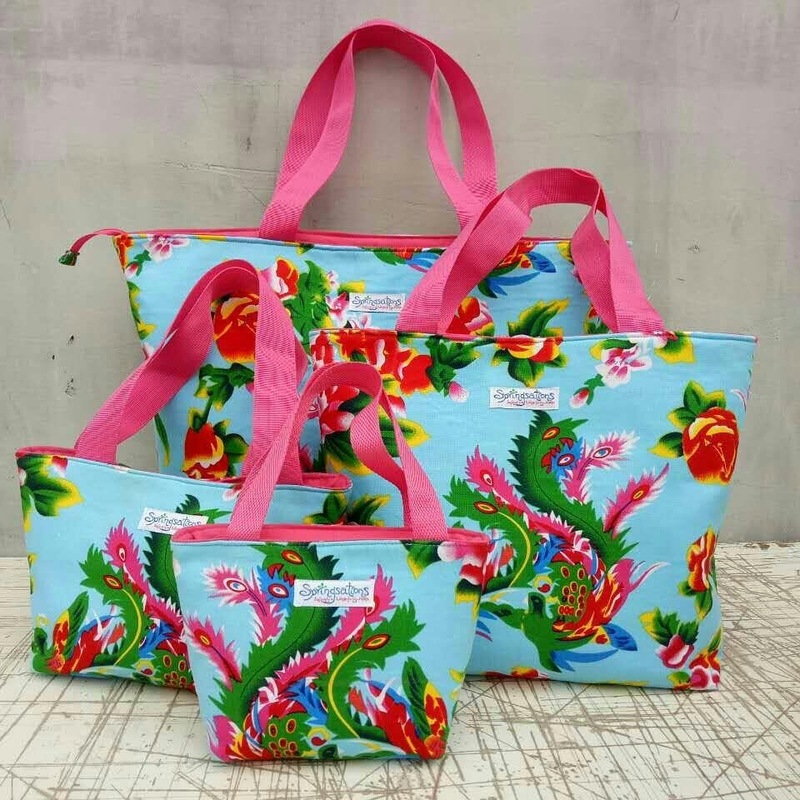 See our beautiful and colorful totes! The Airport Traveler is perfect for your traveling needs with a flap designed to slide over your telescoping handle on your suitcase and sit securely. Inside has a computer pocket, 4 cell phone size pockets, a powercord pocket, a coffee cup or water bottle pocket, a pen pocket and an ear phones pocket. Two shoulder straps. Zipper closure. Travel flap Includes a small zipper pocket for passport. The Airport Traveler is 15 inches across, 13 inches tall and 4.5 inches deep. Big roomy totes! Great for the Airplane, or around town. This roomy tote is stylish and practical. With a tablet pocket inside and two pockets for cell phone and charger. Box top zipper closure. Available in seven different colors and lining colors. With a featured pattern of two peacocks representing the union of marriage and family blessings. The bag measures 15 inches tall, 15 inches wide, 5.5 inches deep and 15 inch long straps. Within Airplane regulations. Of Course Custom Orders are available. 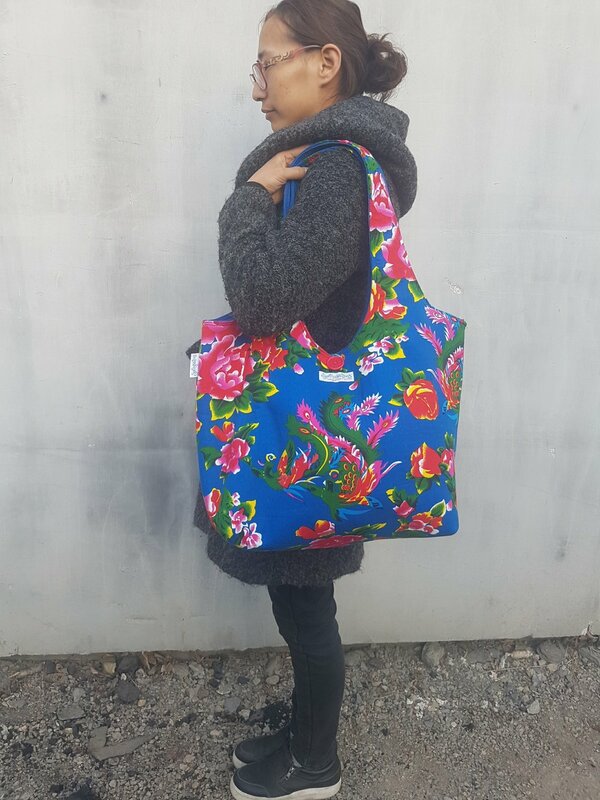 Airplane Totes are now available in the Red & Blue Minority Print. Made to last! This Tote is not only great for the Airplane, a weekend getaway or a teacher's books. This Large Tote is strong but machine washable. Inside has a tablet pocket, two cell phone pockets and a pen pocket and a box-top zipper closure. This Tote will soon be your favorite! This bag is the ideal bag for someone who likes to carry everything! Big, roomy shoulder bag. So colorful looks great with any outfit. Reversable, large pocket inside and a small zipper pocket hidden in the lining and a button closure. 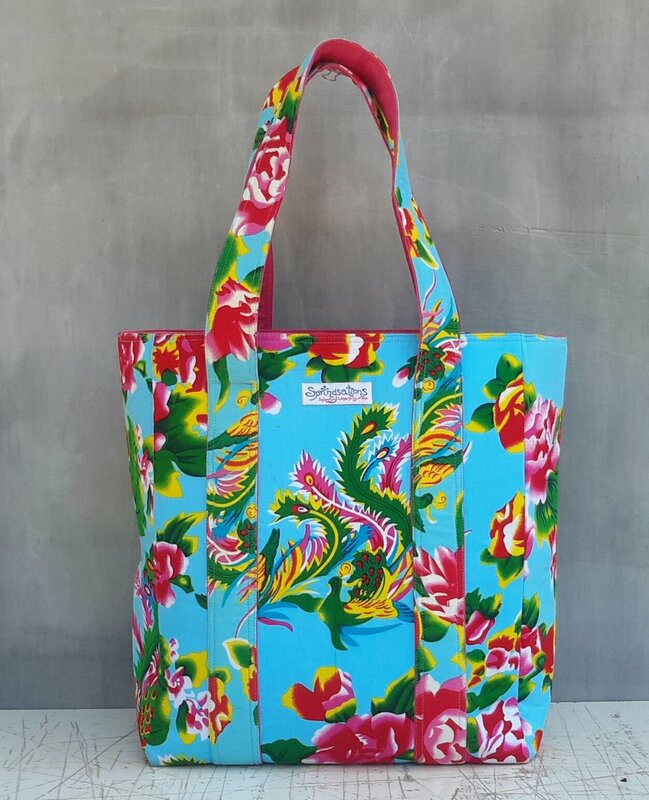 You are going to love this tote!! Made with the same sturdy interfacing as our Airplane Totes, this Small Tote will stand up and go the distance. Machine Washable in cold and touch up with an iron. Two nylon straps and a zipper closure, inside has a tablet pocket, two cell phone pockets and a pen pocket. Available in Red and Blue. 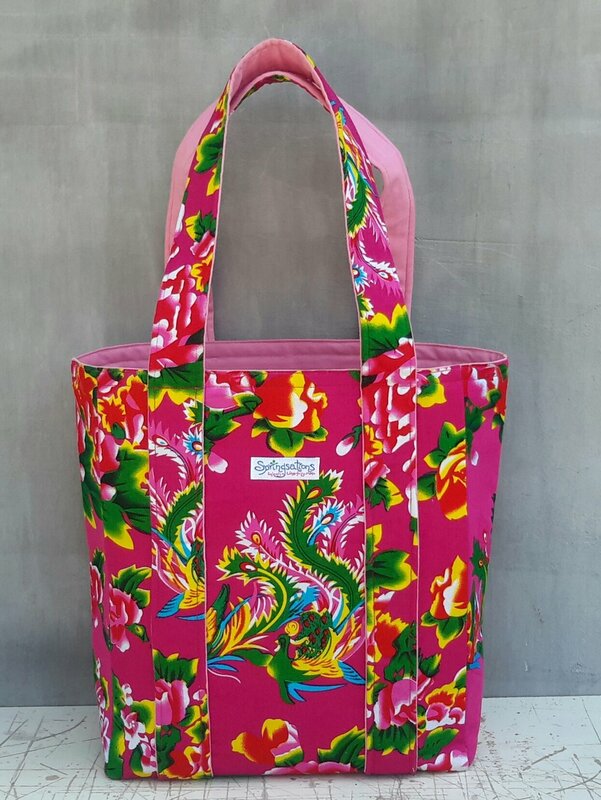 You are going to love this tote!! Made with the same sturdy interfacing as our Airplane Totes, this Small Tote will stand up and go the distance. Machine Washable in cold and touch up with an iron. Two nylon straps and a zipper closure, inside has a tablet pocket, two cell phone pockets and a pen pocket. Available in 5 different colors. White with Brown Characters, Red with Gold Characters and Coffee with Brown Characters.